Other than having a bushy tail, large ears and fluffy furs that makes them really cute, they are intelligent and curious creatures too! This only means that they need lots of physical and mental stimulation. 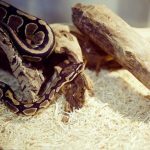 A lava ledge is a good way to add more levels to your chin’s enclosure without taking up too much space— with each ledge having a dimension of 6 x 3 x 1 inch— making them quite easy to incorporate to the habitat. 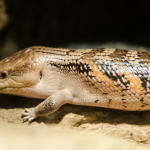 Lava ledge is also great for wearing down the nails of your chins as well as a good chewing option. 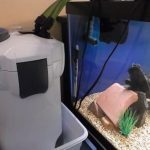 Available in various colors, these ledges are deemed “pet safe” so they are virtually harmless even if they are ingested by your adorable pets. These ledges can be attached to any wire in their home. 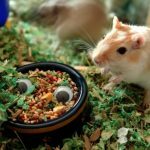 Buy more and add multiple ledges to your chin’s cage so you can mimic their natural jumping behavior— which also increases their energy levels and encourage healthy pets and increasing their longevity. 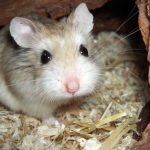 Hay balls are simple spherical wire toys which can hang just about anywhere in your chin’s cage. Just stuff the feeder with fresh hay and allow your furry friend to do the rest. This fun toy will offer your chins both mental and physical stimulation they need as they attempt to get those yummy hays from the ball. Featuring a little bell beneath the feeder, it is great to call out the attention of your chins and stimulate more behavior. The hay ball is all metal powder coated that is safe for your pets and is chew-proof. Also, it can be easily attached to any cage. 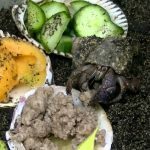 The fun ball shape design makes it fun for your pets and this ball is a great way to reduce wasted food as well as keeping your furry friend’s cage cleaner. This chew toy will provide your furry little friend physical and mental stimulation that they need. Aesthetically pleasing, it comes with a compact carrot shape which contains smaller pieces. The color of the toy is all vegetable based so they are virtually safe to eat. Not only that, but it also helps you chin’s teeth to wear down. With this chew toy, your pet will surely love the challenge of chewing their way into the components inside. The toy comes with varying texture in between pieces in order to keep your chin engaged and prevent boredom. Similar to loofah texture, the inner pieces act as a floss that will keep your furry friend’s teeth clean while the outer frame is designed to simple wear their teeth down. This comfy hanging house is a great way to add a new spot for your chin to hide. Chinchillas usually sleep in burrows and love privacy. In addition, these furry creatures are also nocturnal, meaning they love to sleep during the day and stay active at night. Therefore, giving your chin a hiding spot can also eliminate light during the day and help mimic your chinchilla’s natural behavior in the wild. This comfy bed simply hands on the cage’s wire and will grant your chin privacy every time. Made of high-quality flannelette, the bed is incredibly soft and comfortable for your furry friend. It also comes with a removable bed mat that is washable. Lastly, the bed is actually large enough to accommodate one or two chins inside. This wooden platform toy from Alfie is an ideal resting and nesting places for your furry friend as well as an oral hygiene toy that is made of natural wood, pet-safe material. Measuring 6 x6 x 11.75 inches, this platform is spacious enough for your chin to have fun, play, exercise, sleep and eat. This platform satisfies your furry friend’s instincts to be above the ground when eating and sleeping as well as adding a natural look to their habitat and giving them a good spot to exercise. Featuring a string with chew toys, this platform will keep your pet entertained as they grind and wear down their teeth. Promoting physical activity, mental stimulation, and exploration, the crinkle tunnel from Kaytee is a must have for any people with an extremely active pet. This tunnel is 6 inches in diameter and stretches out to be 23 inches long. It is made from machine-washable material and offers a nice space for your furry friend to rest, have fun and playfully explore. Buy more tunnels and create a maze that will give your chins hours of active exercise and mental stimulation. This one comes in 5 exercise and chew toys that are specifically designed to keep your chins entertain, control decompression and help wear down their teeth. Made of natural wood, it is generally safe for your pets to play with and chew on. Featuring carrying shapes and design, it gives your chins several plays to keep him busy for hours. It includes a small unicycle, a small dumbbell, small and large bell roller, and a bark watermelon balls which your chins can chew on, roll and play with! 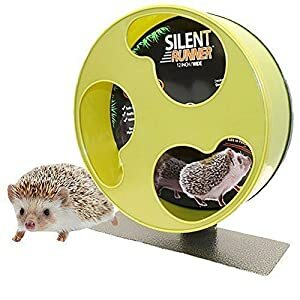 Coming out first is the Exotic Nutrition Silent Runner which is Amazon’s Choice for “Exercise Wheels for Small Animals.” This wheel features an innovative design and comes with safety and whisper-silent spin. It is also stable and has safe running surfaces without any pinch areas. Its running tracks are textures in order to make sure that your chins will have an excellent, non-slip grip when running. Also, the wheel does not have a center axle that brings the risk of fur or tail entanglement or worse a spinal injury during exercise. Your furry friend will also enjoy a silent and smooth spinning thanks to its innovative ball-bearing. Lastly, the wheel exercise also comes with a cage attachment for an easy mounting. 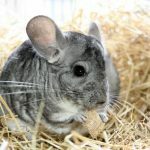 The exercise wheel is made of a metal exterior and wood interior without any plastic parts for your chinchilla to chew on, making it safe for many years to come. It is quite spacious giving your chins ample room to use and stretch. It also comes with a safe open wheel design and featuring dual ball bearings that should last for years. And in case it wears down, replacement bearing is available. The wheel mounts sturdily to any wire cages. 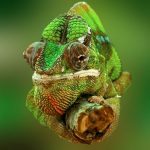 Kaytee is a reputable name in pet supplies and toys. And they also have their own exercise wheels designed for your furry friends. This particular model— the Kaytee Comfort— is essentially comfortable to chinchillas, hamsters, and other critters. It features an open design that allows your pet safe and secure exit and entrance. Its running surface is also stable and gives your chins a quiet operation. 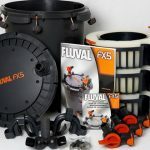 Every wheel comes with a heavy-duty wire stand and a 2-way attachment dip so you can easily use it free-standing or clip it to a wire cage. 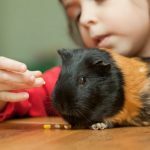 What’s more is that Kaytee offers different sizes— small, large and giant— to give you a better option in choosing the right one that will suit your chins and one that should fit in their cage. Angel Wheel Chinchilla Exercise Wheel comes in 16 inches diameter and is designed to be so silent so you are not disturbed when your furry friends try to work out during the night. Resembling a big pie dish, this wheel is specifically designed for chinchillas, however, it also welcomes degus, prairie dogs and other small pet rodents such as guinea pigs. The item comes with an extra free pack along with a fresh bale of hay for your furry friend to snack on. The wheel features quality materials and provides a good grip so that your chin will not slip and fall off the wheel as they are running. Made to be durable and long-lasting, this wheel can even endure any chewing and running that you chin throws at it. At 2.7 pounds and 12 inches in diameter, the Kaytee Silent Spinner is extremely light and should fit in any cage. 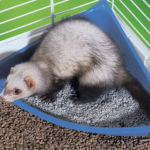 Suitable or chinchillas, squirrels, or rats, this item is available in different sizes so that you can pick the suitable size for your furry friend and the cage. It features an enclosed spinner hub that helps in reducing the noise when your adorable chins are spinning. The wheel works in two ways: You can either leave it free standing or attach it directly to the wire cage. Either way, your chin will enjoy a sturdy and stable exercise wheel. Furthermore, the wheel also boasts a quality plastic construction and a comfy and safe running surface for your furry friend’s feet. It also comes in two color options: green and purple.